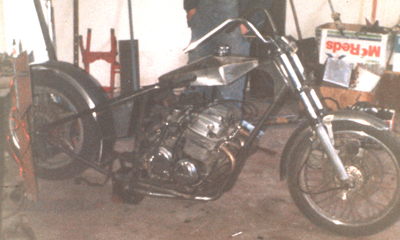 This was the first frame I made from scratch in Street Custom Manufacturer. 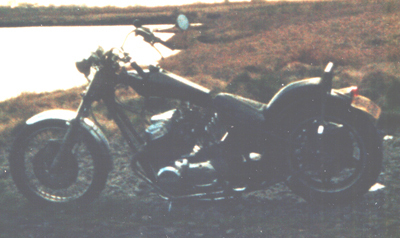 I built it from 27mm CDS tubing, and used a Honda CB750 F1 sohc as the donor bike. 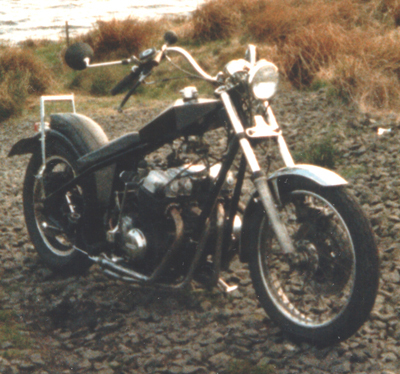 I used the standard Honda front end and a Honda CB750 F2 rear wheel. The frame was plastic coated and I painted the tank and mudguard . I modified a set of 4 into 4 drag pipes for it. 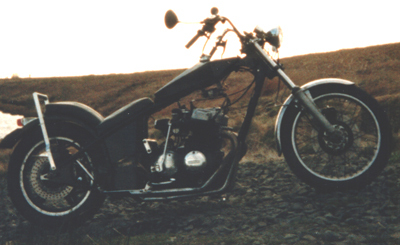 I ran the bike for a few months before selling it, the ground clearance was to low for my liking. 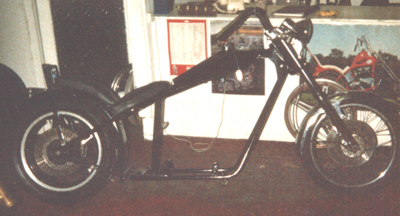 SCM became so busy that it I never got the chance to build myself another chopper while running it and just ran around on standard bikes for a while. 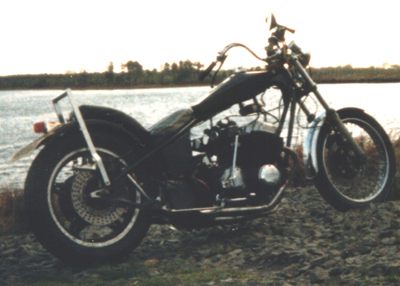 I thought I would put these pictures in here as their from the around the same time as I built the Honda chopper. These were the first Hardtail's for Frames I ever made professionally in SCM. 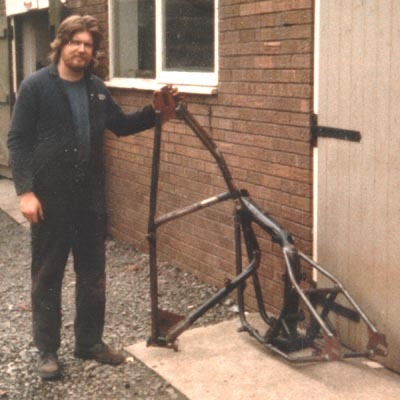 The one I'm holding is a bolt-on hardtail for the Triumph 650 single downtube frame. The one behind is a weld on hardtail for the Triumph OIF (Oil-in-Frame) frames. 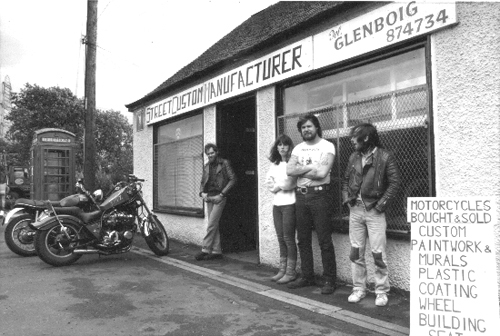 This is a picture of SCM's shop front, to the left is kipper the owner of the Bonnie, to the right of me is buff the owner of "Red Z" a hardtail Kawasaki Z650. Oh, and I better mention "the other half" beside me.